What is a Network Card – Tips, Tutorials & Techniques? So what is a network card? 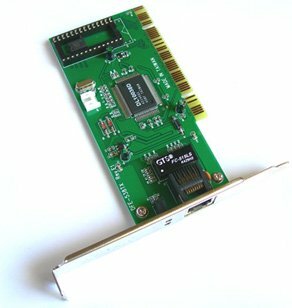 Basically to sum it up, a network card is a piece of computer hardware, that is designed to allow computers to communicate over a network. This page is designed to be the main page for the computer networking section. Hopefully it will be able to provide me with some useful information as to what a network card is, and how it can be used. This page will answer more of your technical questions about the network card. As with everything in computers, there are difficult terms and other things that are hard to understand. So for technical help on the network card, read this. How to install a Network Card? This page is more a tutorial on how to install a network card. The majority of new computers, will have a network port built into the motherboard, so you won’t have any need or issues with installing a network card. However, you may need to install a wireless card, or decide to upgrade to a faster speed, and in these circumstances its good to understand what’s involved. So this article may be helpful to you in that way. Click here for the tutorial on how to install a network card. There are also different types of network cards. There are wireless network cards, usb network adapters, typical network cards and more. When connecting computer network cards to eachother or even to a hub/switch or router, you need network cables. However, there are different types and different categories of network cables. Read more on the types of network cables here. Well I hope that through this article and the ones that it links to, you will be able to answer the question, “What is a Network Card and What does it do?“. If you have any questions about network cards, be sure to let me know or leave your opinion in the form below.